KABUL: President Mohammad Ashraf Ghani met with US envoy for Afghanistan Peace Zalmay Khalilzad here yesterday at the presidential palace, a statement said. Both sides discussed ongoing peace efforts, the statement from presidential palace added. 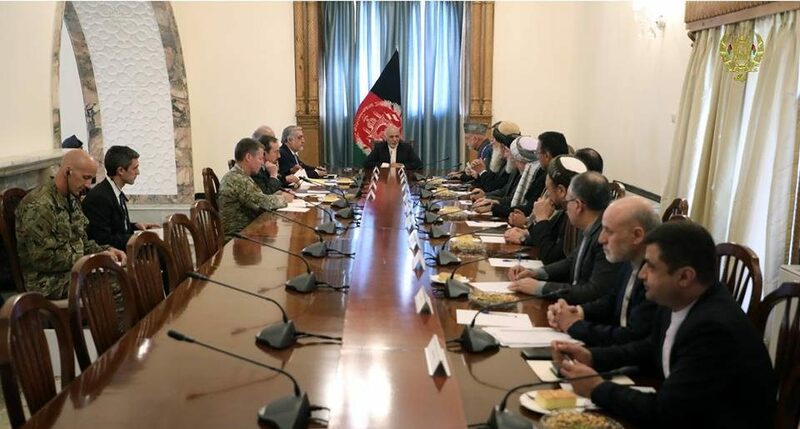 The meeting which was also attended by a number of politicians, including Chief Executive Dr. Abdullah Abdullah, the participants expressed their demands and concerns on the peace process. The consultation meetings on peace process to be continued, the statement added.